TransActions publication series is an international partnership between Stockyard Institute Chicago and National College of Art & Design Dublin, Ireland, and is led by Jim Duignan (SI) and Fiona Whelan (NCAD). The definition of a ‘transaction’ is ‘a communicative action or activity involving two parties or things that reciprocally affect or influence each other’1. As such, the publication series encourages a cross-fertilization of thoughts and ideas that produces both commonalities and differences. As noted in the introduction to TransActions #1, ‘this project aims to give due consideration to the thought of Socially Engaged Art as well as its practices, its strengths and its weaknesses, its learning and unlearning’2. Therefore the first iteration refused any easy distinction between theory and practice, allowing the reader to engage with an array of positions, which could be read through the lens of ‘an other’.During the Dublin launch of issue #1, Ailbhe Murphy noted the particular need for the polyphonic approach taken in TransActions, which is different to other models such as the academic journal as it accommodates ‘the murky, more contested and fragmentary discursive assemblages which play out in this particular field of practice and which resonate with the way in which the field itself is constructed with all of its epistemological tensions annexations and territorial frictions’3. The publication avoids any attempt at unification, its strength lying in the divergence of the collection of positions and views presented, becoming a vehicle of representation within an academic context dominated by notions of excellence and loaded with language of evidence, effectiveness and impact. Issue #1 takes Dublin and Chicago as two contemporary urban sites for exploration and explores the physical, geographic and social fabric of the two cities.Subsequent issues are developed independently by NCAD or Stockyard Institute and involve further collaborations with diverse organisations, institutions and individuals. Issue #2 Field and Academy: Knowledge and counter knowledge in socially engaged art (2017) is a collaboration between the MA Socially Engaged Art + Further Education at NCAD, Fire Station Artists’ Studios and Create, the national development agency for collaborative arts. Drawing threads from the meta to the micro level of knowledge production, issue #2 sets out to pose questions for the field of socially-engaged art and education practice in 2017. Issue #3 is currently being developed by Stockyard Institute due out in late 2017. TransActions #1 (2015) is a collaboration between the MA Socially Engaged Art + Further Education at NCAD Dublin and Stockyard Institute, Chicago. Chicago and to matters of detail. TransActions#1 is funded through Stockyard Institute and the NCAD+UCD venture, a HEA-funded project to develop the institutional relationship between the National College of Art and Design and University College Dublin. TransActions #2 (2017) is a collaboration between the MA Socially Engaged Art + Further Education at NCAD, Fire Station Artists’ Studios and Create, the national development agency for collaborative arts. 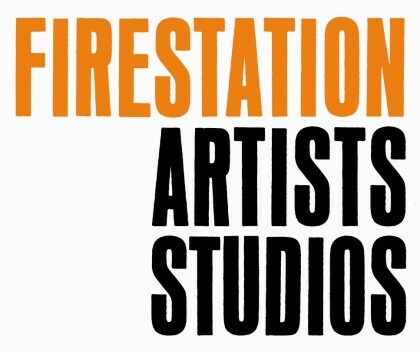 Fire Station Artists’ Studios is supported by the Arts Council of Ireland and Dublin City Council. TransActions#2 is funded through NCAD, Create and Fire Station Artists’ Studios. 2. Fiona Whelan and Dr. Glenn Loughran, TransActions #1 – a tale of two cities, TransActions #1, 2015.